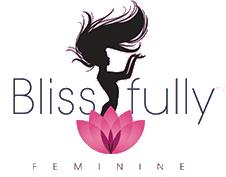 Buy 5 SIGNED Copies of The Black Girl's Guide to being Blissfully Feminine Get 2 SIGNED copies FREE!! The Black Girl's Guide to being Blissfully Feminine makes a perfet gift for the women who are nearest and dearest to your heart. The truth is this book was written for women just like you and your family and friends. This book will help you to discover why it is so vitally important for African-American women to care about their femininity, and how we can use the power of our feminine energy to help heal ourselves, our relationships with men, and our families to improve the cultural crisis in which we find ourselves. Get 5 copies of The Black Girl's Guide to being Blissfully Feminine signed by the author Candice Adewole and get and additional 2 signed copies absolutely FREE for ONLY $50 plus $12 shipping! !